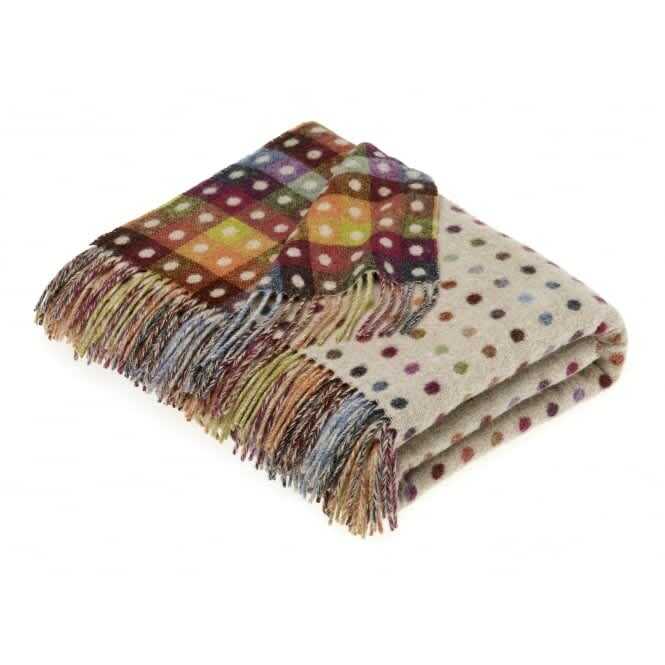 This luxurious lambswool throw is incredibly stylish and completely versatile, perfect for throwing over a chair, sofa or bed. Features a multi-spot, multi-coloured design. A product of Bronte by Moon. BBD in Dewsbury, United Kingdom.